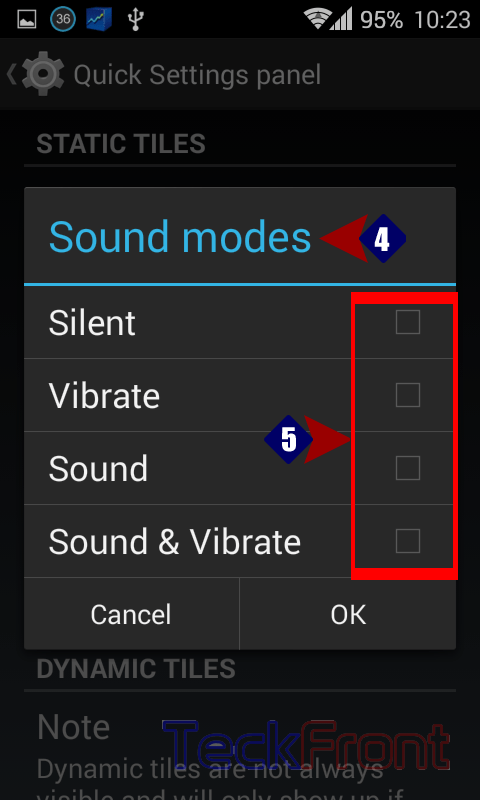 How to Set Vibrate, Silent, Ringing or Both the ‘Vibrate & Ringtone’ Simultaneously? Sometimes, sound of the phone becomes a problem and user feels the need to shut is down but, immediately, it is a little troublesome. But, Android KitKat has settled the issue and has provided the options to opt, as per your need and desire. 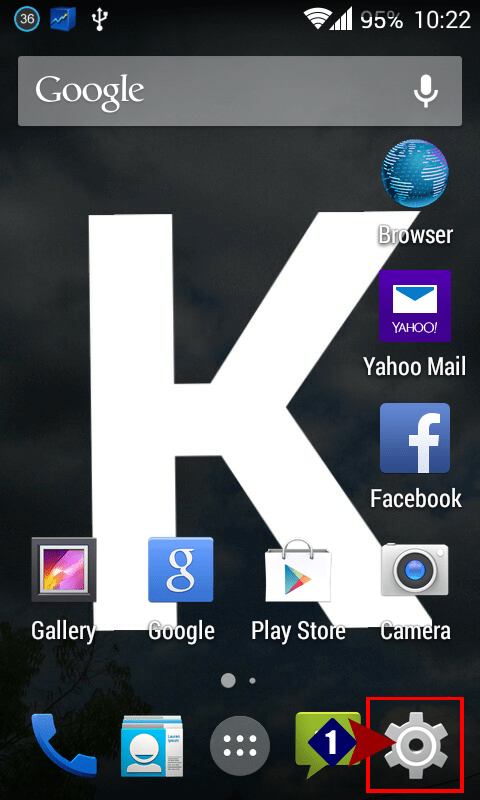 1: Tap the ‘Settings’ icon on the Home screen. 2: In the PERSONALIZATIONS, tap ‘Interface’. 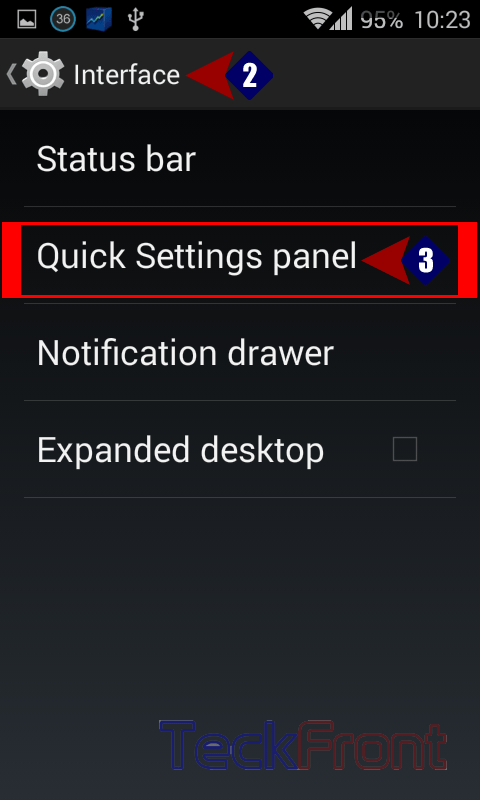 3: Under Interface’, tap ‘Quick Settings panel. 4: Under the STATIC TILES, tap ‘Sound modes’. Under the ‘Sound mode’, see the message: ‘View or change the Sound button modes’. 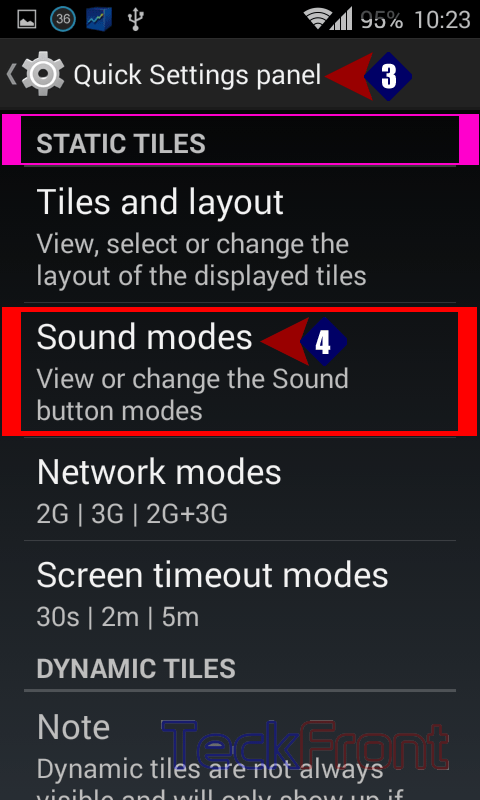 5: Tapping the ‘Sound mode’ will open up a prompt with 4 options to check, as per your desire. From these 4 options, you may select anyone from ‘Silent, Vibrate, Sound or Sound & Vibrate’ as desired by you. 6: See all the 5 options have been checked and enabled. 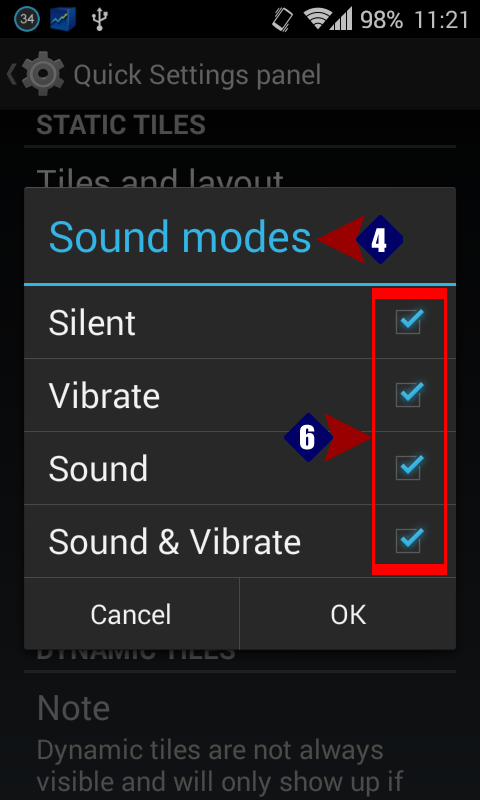 7: Now, go back to ‘STATIC Tiles – Sound mode’ and see the ‘Sound mode’ is changed. To see; how this option works, see our next article: How to Enable Vibrate, Silent, Ringing or both the ‘Vibrate & Ringtone; Simultaneously? 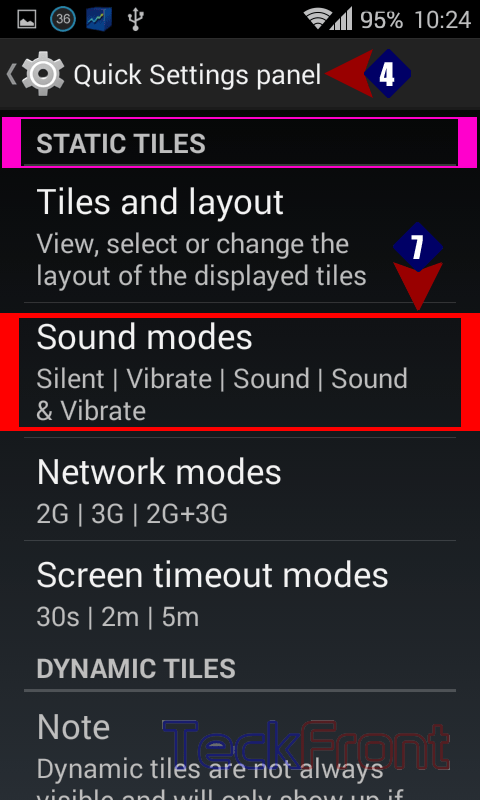 Newer How to Change Vibrate, Silent, Ringing or Both Mode, in KitKat 4.4.2, Quickly? 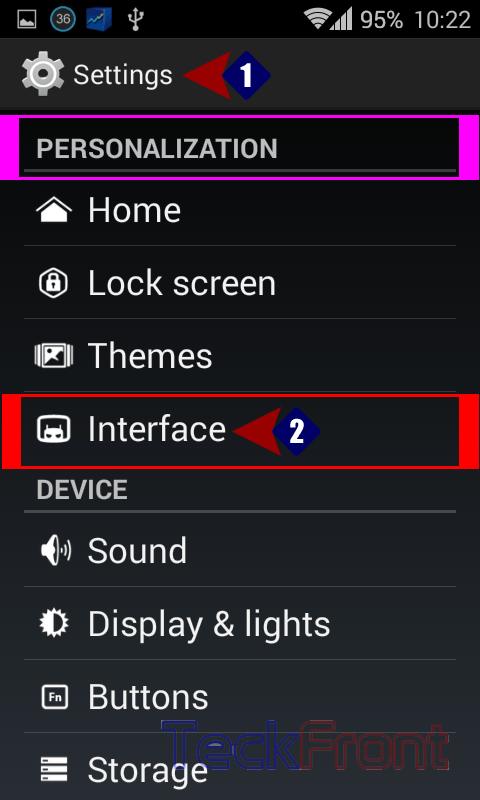 Older How to Set Most Suitable Picture Size for Your Camera in Your KitKat Phone?